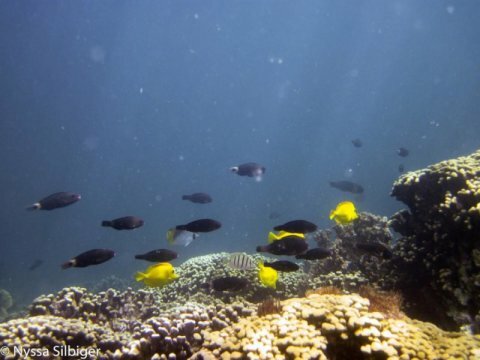 Assistant Professor of Biology Nyssa Silbiger and colleagues at the University of Hawaii Manoa published a study this June demonstrating that nutrient pollution — nitrate and phosphate fertilizers that run off from agricultural lands — exacerbates the effects of ocean acidification on coral reef communities. … nutrient pollution could make reefs more vulnerable to global changes associated with ocean acidification and accelerate the predicted shift from net accretion to net erosion. The full paper can be found at Proceedings of the Royal Society B.